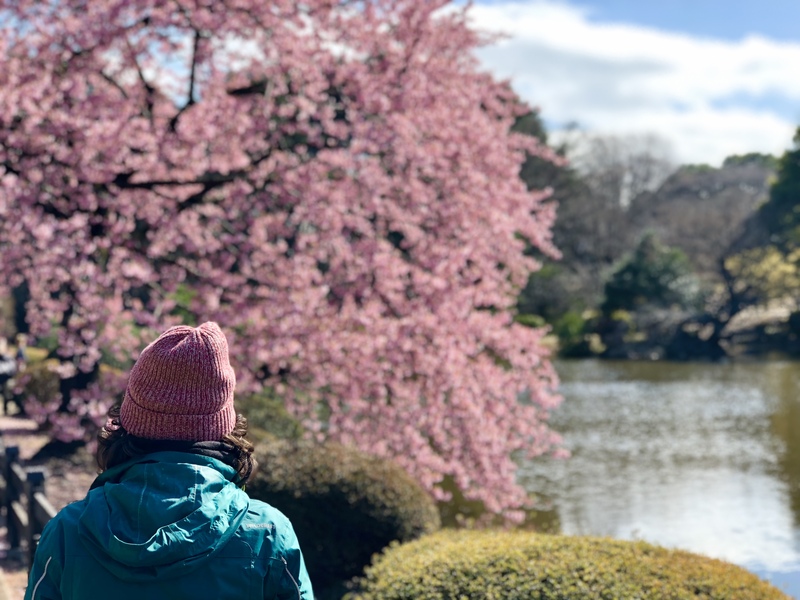 About this post: Dreaming of Japan and looking for Japan visa requirements for Indian citizens? After scoring a Japan visa on my Indian passport, I’ve put together this detailed post on Japan visa requirements for Indians, including Japan visa fees for Indians, where to apply for a Japan visa in India and whether it’s possible to get Japan visa on arrival for Indians. Hope this post helps you score a Japan visa as an Indian citizen! Until 2016, scoring a Japan visa on an Indian passport was a tedious process. You had to show an invitation letter from a sponsor in Japan, and from what I’ve heard, visa applications were lengthy and often rejected. Good news! Although Japan still doesn’t offer visa on arrival for Indians, it is now possible for Indian citizens to apply for a Japan tourist visa without a local sponsor. The Japan visa requirements for Indians have become pretty straightforward, with typically a processing period of 4 working days at VFS Japan – the official visa application centre for the Japan Embassy in India. Although my passport address is that of Dehradun, I’ve managed to score a Schengen Visa from VFS centres in Mumbai and Goa multiple times. I hate going to Delhi, so I confidently tried to file my visa application at VFS Japan in Mumbai too. But no matter how much I pleaded, they just wouldn’t bend their rules. They gave me two choices: Either produce a concrete address proof for my residence in Mumbai (only an electricity bill or property papers in my name, or in that of my relatives / landlord were acceptable). Or apply in Delhi. I didn’t have a choice but to go to Delhi, where the process was seamless. See the entire list of VFS Japan Centres in India. Check the Japan visa Blue Dart centres and postal guidelines. The visa application form for Japan is pretty short, but make sure you fill all the sections. Under the guarantor / reference in Japan section, fill the address and contact details of your first accommodation in Japan. Fill the Japan visa form online, then save print and sign it. Or download and print the form first, then fill and sign. Unlike other embassies, the Japanese embassy and therefore the Japan VFS centre are very specific about the kind of passport photo you need. It must be 2×2 inches – unlike any other passport size photos – and your face should be clearly visible. Luckily the VFS Centres in Mumbai and Delhi have a photo booth and I was able to get mine clicked the required way immediately; it costs more than doing it outside though. Read about the exact photo specifications for a Japan visa. The cover letter is an important part of the Japan visa application. You need to include your travel dates for Japan and why you’re going to the country. Highlight your trip itinerary clearly. I also included names of major countries I hold visas to, or have in the past, including the US, Canada, Australia and Europe. This always strengthens your visa application, especially as an Indian passport holder. There’s no getting around this; I had to show confirmed hotel bookings at the time of applying for my visa when I hadn’t even started planning my trip! As always, booking.com came to my rescue – I looked for accommodations that offered free cancellation, and better yet, didn’t need a credit card to be booked. I showed a confirmed return flight ticket. If your dates are open, you could try looking for a flight that offers full refund upon cancellation and book it with a credit card. As with most other visa applications for Indian passport holders, you need to show your recent 3-month bank statements, last year’s income tax return and any other supporting financial documents. My bank balance is usually pretty low, so I make it a point to include my fixed deposit summary, or ask a friend to temporary lend me money in my account 😉 For an expensive country like Japan, I would aim to show a balance of 1-2 lakhs in my account, plus savings. The Japan visa fee for Indian citizens is only INR 440 (plus service charge by VFS Japan), both for a single and multiple entry visa. However, when trying to apply for a multiple-entry visa, I was told at VFS Japan (it’s not mentioned on their website) that I needed to submit 3 years of income tax returns to be eligible for a multiple-entry visa! This makes sense if you plan to pop by to South Korea nearby. You don’t need an appointment to file your Japan visa application at the VFS Japan centre. But note that they don’t allow any electronic devices – camera, laptop, battery packs etc – inside. I could take in my phone, but they told me to keep it off. It’s best to carry only your documents and phone – both for submission and collection – to avoid any security hassle. Unfortunately there seemed to be nowhere to store your belongings at the VFS Centre. See the complete document checklist for your Japan visa application. You can opt for your passport to be couriered to your address, but I always prefer to collect it in person if I can. Either way, you can track your Japan visa application online. Mine was ready for collection on the 4th working day, including the day of submission at VFS Japan in Delhi. Good luck with yours! Entering Japan with my single-entry tourist visa was a breeze! I was asked no questions by the immigration officer before being stamped in. However, during check-in, my airline did ask for my return flight ticket. It’s a good idea to keep that and your first hotel booking handy. Got any other tips or experiences with an Indian passport and a Japan visa? I’m spending a month exploring Japan. Read about my trip and follow my adventures in live on Twitter, Facebook and Instagram. For more information about the Japan Visa application, please refer to FAQs on the VFS Japan website. If you have specific questions about the Japan visa process for Indians, you can contact VFS Japan or Japan Embassy by phone or email. Is it worth getting an E-visa for Georgia with the recent deporting of Indians at Tbilisi Airport? I’m glad to hear that 🙂 Planning to visit soon? Mission accomplished! I hate that the Indian passport can make things seem very cumbersome; hope to break down these processes so more of us can travel 🙂 That reminds me, I must update that big visa post. This is a super ! Thank you for the abundance of helpful information. Glad you found it helpful, Radhika! Hi Shivya, I stumbled upon your post while researching about travelling to japan and i had a question regarding the flight tickets?How do we book cancellable flight tickets any suggestions and will a reservation do or do we we confirmed flight tickets.What happens if the visa gets rejected and you have confirmed flight tickets? Just applied for a Japanese tourist visa on Mar 9th. Today is the 3rd working day from the date of application. So far the tracker on VFS site still says that the application is forwarded to Japanese embassy. Keeping my fingers crossed. I hope you got it on the 4th working day like I did? That was another wonderful travel tips. Japan is actually a dream destination of mine. Thanks for the information. It’s so worth a visit. Hope this post helps when the time comes! The article is amazing, well researched and very informative. Is income tax returns and job proof mandatory ?? Japan is actually a dream destination of mine. Thanks for the information. hi. this was really helpful, but i had few questions, I just graduated and I use My dad’s bank account and I don’t have one, in such case what do I do? What will i need to write in guarantor/inviter in the form ? And if i am visiting multiple cities do i need to write the names of all the hotels ? Thanks , Its Really helpful… can you include the letter format also? I’ve applied for my Japan Visa!! Hopefully I get them. Previous PostIn Search of Murakami’s Japan. Next PostSecrets Behind Some of Japan’s Most Intriguing Traditions.